ब्लॉग: श्रुतिसागर आश्रम (Shrutisagar Ashram): What is Praanaayaam? The process of breathing goes on continuously in your body as a mechanical function without any awareness. During the first stage of meditation, you have to observe this mechanical function with full awareness and alertness. Not the mechanical breathing, but the observation of one’s own breathing consciously is called ‘Praanaayaam’. One would wonder: What is the relationship between breathing exercise and mind control? When you are mentally restless, disturbed and under tremendous tension, or there is bout of anger, your breathing becomes fast. 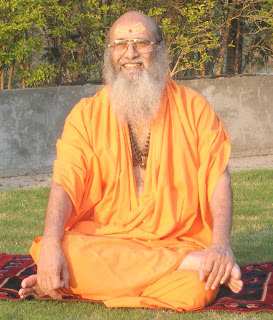 On the other hand, when you are relaxed, sitting on the lawns, without any tension or worries with a peaceful mind, then your breathing is also very slow and steady. Or if you are fully engrossed in listening to some beautiful music, you are not at all aware of anything around you. Your mind is enjoying that music. That time you will find your breathing is slow, and even imperceptible. This shows that there is definite impact of the mind and breathing on each other. Hence, during Praanaayaam, mind is given only one function - to observe one’s own breathing. The object of mind is only to observe how one breathes in and out, with all alertness and awareness. Every object in this world has a form. But during observation of breathing, you are focusing your attention on air, which has no form. When there is a formless object to focus on, mind also becomes formless. As a result of this awarefull breathing exercise, slowly, all thoughts are dissolved. And mind becomes free from thoughts, conflicts and tension. Mind is relaxed. 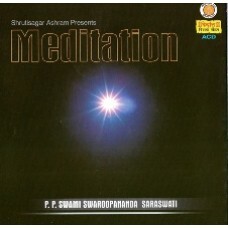 Thus Praanaayaam is the first step towards achieving total inner relaxation.